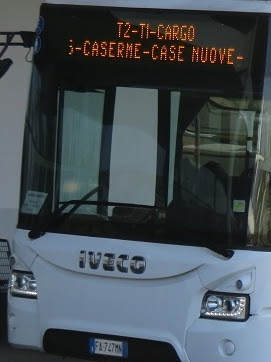 The free terminal shuttle bus at Malpensa Airport between T1 and T2, showing intermediate stops on its display. - At T2, follow the "Airport Bus" sign and exit (east) the Arrivals Building and you will immediately see the "Airport Bus" terminal shuttle bus stop along the side of the Arrivals Building. N.B. Since Dec 2016, the train line has been extended to a newly built station at T2, so it is possible to use a train between T1 and T2. 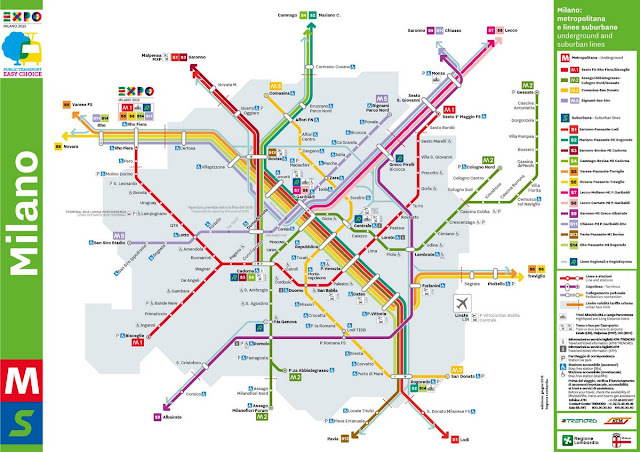 However, the trains usually run only once every 15 minutes instead of approx. every 7 minutes by the terminal shuttle bus; and the train is not free, costing exactly 2 euros for the short 6 minute train ride. And while both the shuttle bus stop and the T1 train station are close to each other; the shuttle bus stop at T2 is much closer to the T2 terminal building than the new T2 train station, which is accessed by walking along a covered walkway. 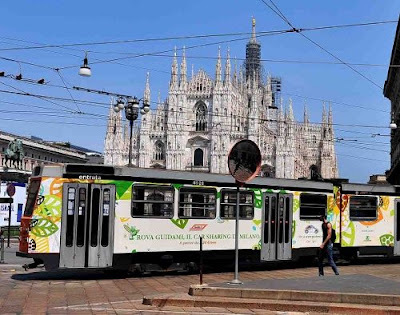 For all public transport beyond Malpensa Airport to the center of Milan and to other cities, by train and coach / bus, you can refer to the official Malpensa Airport website on its "To and From" page.